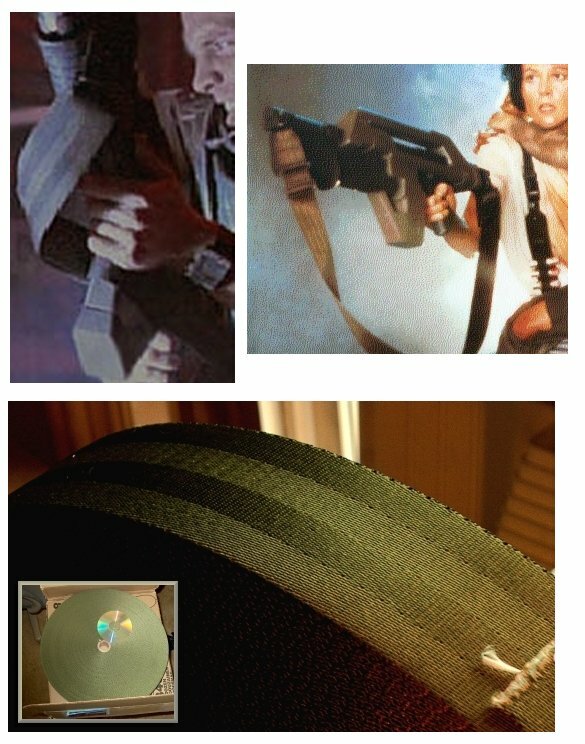 The Aliens Legacy • View topic - Q: "Where Can I Find: an accurate Pulse Rifle sling/strap?" Post subject: Q: "Where Can I Find: an accurate Pulse Rifle sling/strap?" Anyone buy one that's worth mentioning?? Go with the standard military surplus canteen strap. It's about as screen accurate as you can get with an off the rack item. And it's plenty long enough as well. I believe it's from the 2 quart canteen? The big one, not the kind you wear on your pistol belt. They'll usually cost you under $10 at your local army/navy surplus outlet. I have quite a bit of OD nylon seatbelt webbing, if anyone is interested. Looking for one with decent length & alot of padding on it!! You could also check here. I don't know about length, but it's canvas, so it's got good padding. Post subject: Re: Q: "Where Can I Find: an accurate Pulse Rifle strap?" You seek mnoble for all your strap needs. Matt Noble aka 'Noble' here makes the most accurate Pulse Rifle/Motion Tracker strap available. Well worth the cost.